Drop & Catch! You’re Next! 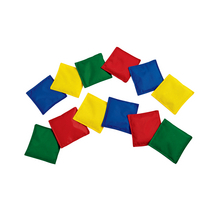 A simple and cooperative game that promotes gross motor as well as fine motor development, including eye-hand coordination and bilateral coordination. 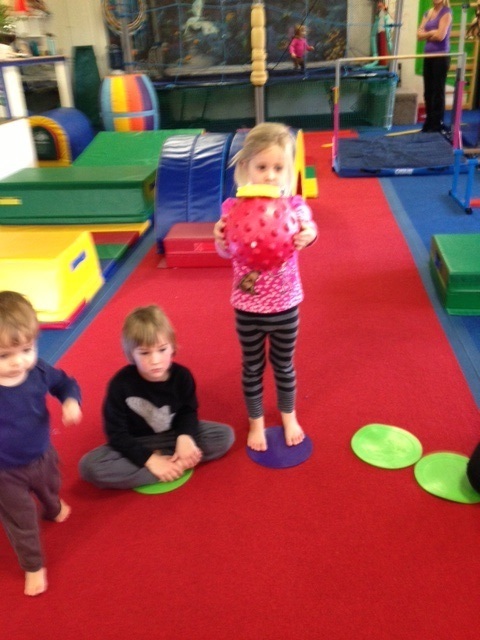 Toddlers and even school agers enjoy and benefit from playing with a ball and a beanbag! Perhaps you will discover the science of physics happening when you play this game. Try it out! Gather group of children in a circle. Place a beanbag on top of inflated ball. With two hands, shoulder width apart, hold ball at arm’s length in front of you. Drop, DO NOT PUSH, the ball. When the ball hits the ground, the beanbag “jumps” into the air. Whoever catches the beanbag has the next turn. 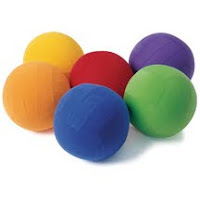 2009 Toy of the Year: The Ball! This year, the ball officially bounced into the National Toy Hall of Fame (NTHOF) at Strong National Museum of Play in Rochester, New York. It is the only museum in the world devoted solely to the study of play as it illuminates American culture. I had heard about this museum and always wanted to visit it. Recently, I happened to be in Rochester to conduct some teacher trainings and I finally had a chance to go to the museum. For me, a mixed review; it was big and glitzy and much more commercial than what I had envisioned. However, I did like the many quotes about play embellished all over the walls and learning about the museum’s history. I couldn’t wait until we got to the part of the museum that housed the Toy Hall of Fame. Last year the stick was inducted into the NTHOF, and I wanted to see how it was displayed. Another disappointment! It was ensconced in a little cube behind glass! But, I do love the idea of objects being recognized for their play value and do appreciate what the museum represents—PLAY! The LEGO® exhibit is opening next month. LEGO®s were inducted in 1998 and then named “Toy of the Century” in 2000. My son grew up with LEGO®s, and now his two sons are enjoying them with the same passion as they build and discover. I like to claim that LEGO®s laid the base for my son’s current career in e-commerce. He didn’t have a computer or techno gadgets growing up, but he did have many open-ended toys, including sticks and balls for playing outside! 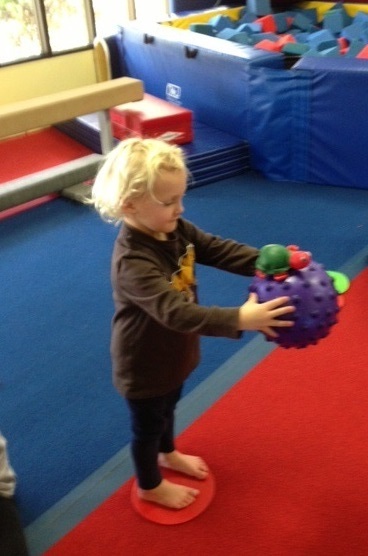 I’ve praised the play-value of a ball before because it inspires fun, movement and creative play. I really like to talk about and share my ideas concerning toys and educational materials for young children. Many times, as a consultant for Discount School Supply, I am asked to give input on new products being developed. This too, is one of my favorite jobs– especially after seeing an idea become with a finished item for play! Why do some toys literally disappear and others last for a lifetime? Today there are so many toys that do more on their own than the child does playing with them! Let’s not forget the classic toys beloved by many generations that perhaps, you too once played with: blocks, baby dolls, jump ropes, hoops, crayons, puzzles, marbles, trains, etc. Parents, grandparents, teachers, caregivers of young children: ‘Tis the season of gift-buying and present-giving, and I say, “Get on the ball!” Make sure that you put toys into the hands of the children in your care that inspire creativity, discovery, and learning through play!